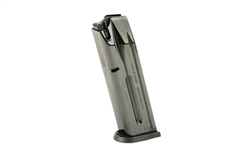 This is a factory Beretta PX4 Storm magazine. It is manufactured to Beretta's strict specifications and tolerances to ensure perfect fit and function. Insist on genuine factory magazines for your Beretta pistol.